This post is sponsored by Spot Shot® Instant Carpet Stain Remover and Spot Shot® Pet Instant Carpet Stain & Odor Eliminator. Pawsitively Pets only shares information we feel is relevant to our readers. 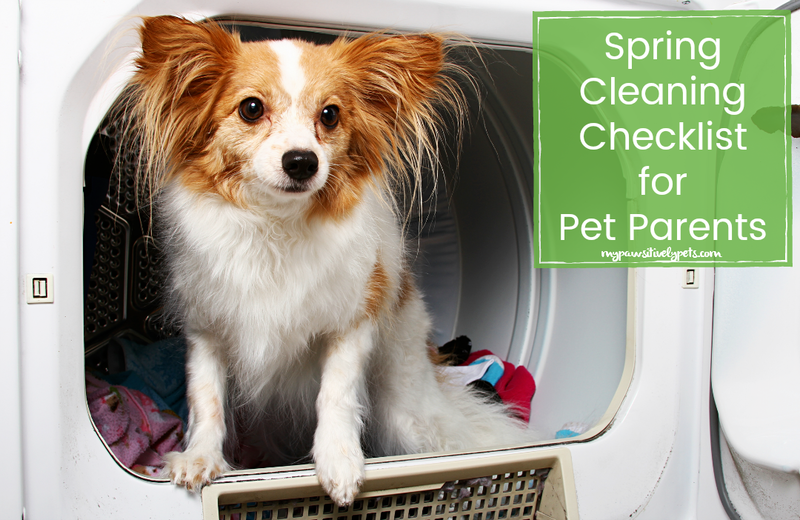 The time for Spring cleaning is upon us, and pets offer a variety of messes and smells that ultimately need to be dealt with. We all love our pets and want the very best for them. Offering a safe and clean environment is a good way to keep them healthy and happy. Why not tackle the cleaning chores for your Spring cleaning? Here's a checklist on a few household pet items you might want to tidy up during your Spring cleaning this year.